By taking advantage of some teachable moments during the holidays, you can reinforce a spirit of giving in your Scouts and Venturers. While the Scout Oath and Scout Law will be used in Cub Scouts beginning next year, the current Cub Scout motto, sign, salute and handshake won’t change. Finding the perfect gift for your brainy, science-loving Scout or Venturer isn’t easy. Fortunately, there’s help with our STEM holiday gift guide. 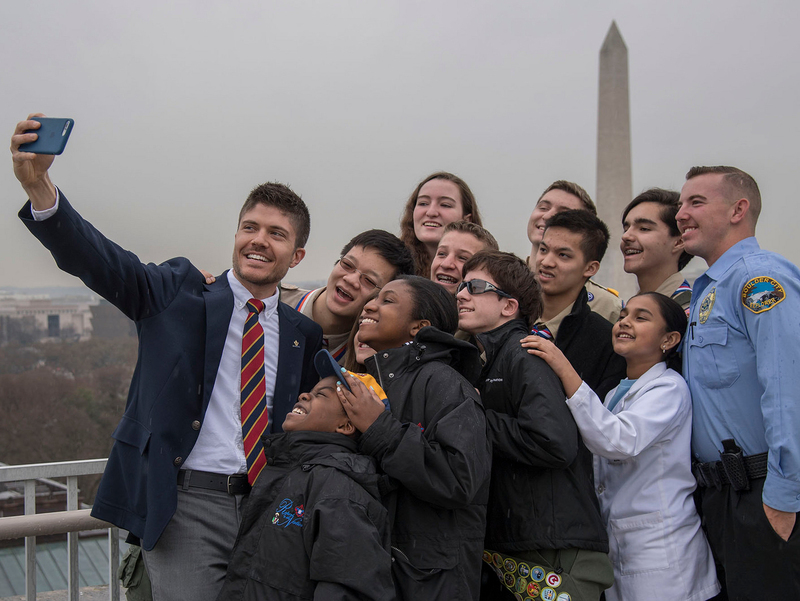 National President Dr. Robert M. Gates, Chief Scout Executive Wayne Brock and National Commissioner Tico Perez share a holiday message to the BSA family. Marching in a holiday parade with your Scouts this year? Keeping everyone safe should be tops on your wish list. Here are 16 holiday parade safety tips. In its latest CubCast and an updated Product Sales Guide, the BSA offers guidance to units about individual Scout accounts and how the IRS sees them. Giving Tuesday presents a great opportunity to help grow Scouting in your community. You can help create the next generation of leaders. The BSA’s Testing and Evaluation Team wants you (yes, you) to join the Scouting Research Panels. Your opinions will determine changes to Scouting programs.